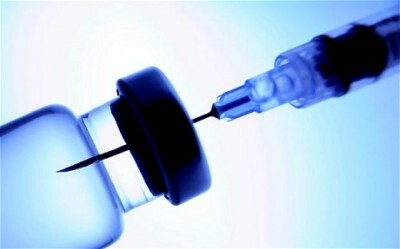 Recently, scientists took a huge leap forward in developing a radically new form of immunization. Researchers from the Scripps Research Institute reported in February that they had successfully used a new form of gene therapy to induce monkeys to produce an antibody that deactivates HIV. This new therapy is fundamentally different from vaccination, which consists of introducing small amounts of infectious material into the body to induce it to produce its own antibodies. In immunoprophylaxis by gene transfer (IGT), scientists instead hope to modify the DNA of patients to enable them to produce entirely new antibodies. “The reality is we are touching third rails, and so it’s going to take some explanation,” said David Baltimore of the California Institute of Technology, a Nobel Prize recipient, virologist and IGT researcher. In IGT, scientists first identify the genes (in humans or other animals) that produce powerful antibodies against hard-to-treat diseases. They then create artificial versions of these genes and insert them into viruses. These viruses are then injected into patient (usually into muscle tissue), where they transfer the genetically engineered DNA to the muscle cells. Although muscle cells normally do not produce antibodies, the viral DNA changes their genetic programming, and the muscles start producing the antibodies. The first major breakthrough in IGT came in 2009, when Philip R. Johnson of the University of Pennsylvania and colleagues announced that they had successfully used the technique to cause monkeys’ muscles to produce antibodies that protected the animals from SIV, a version of HIV that affects nonhuman primates. In 2011, Baltimore and colleagues successfully used IGT to protect mice against injected HIV. In 2014, they were able to use the technique to protect female mice against HIV introduced vaginally. Scientists are also researching the possibility of using IGT to confer resistance to many other diseases that have resisted vaccination, including malaria, respiratory diseases (such as cystic fibrosis, influenza or SARS) and even Ebola. Many technical hurdles remain before IGT therapies could be widely adopted, however. Michael Farzan, lead author of the recent Scripps study, notes that scientists still need to figure out how to regulate the body’s production of the new antibodies, or shut it off. “If we really want to see this blossom, we need regulatory ‘off’ switches,” he said. Designer immune systems on the horizon? Although scientists and bioethicists claim that IGT is no different than existing gene therapies and is therefore not ethically problematic, they admit that the public may see things differently. The prospect of having one’s DNA modified to fight a disease may not be easily accepted. As with all gene therapies, IGT also raises concerns about the ethical implications of gene therapies designed to “improve” or “enhance” human beings rather than simply treat medical conditions. Conferring disease immunity arguably straddles the line between these approaches. Injecting viruses that are designed to modify the human genome also carries the risk of potentially severe side effects. Thus far, gene therapy researchers have mostly limited themselves to what is known as somatic gene therapy, rather than germ line gene therapy. In the former, only non-reproductive DNA is modified, meaning that the modified traits cannot be passed on to future generations. It is widely accepted that germ line gene therapy poses an even more perilous ethical landscape than the gene therapies already under development. Finally, the prospect of modifying the human genome raises the question, as always, of who would control such technology, and who would get to decide when it would be used.